Abigail Darwin is a member of the firm's Labor & Employment Practice Group. Her practice focuses on employee benefits, including health insurance, cafeteria plans, FSAs, HRAs, wellness plans and retirement plans, as well as on executive compensation, including employment agreements, change in control agreements, equity-based compensation plans, other incentive compensation plans, deferred compensation plans, severance arrangements and securities law issues relating to executive compensation. Darwin has experience in the executive compensation and employee benefit aspects of mergers and acquisitions and other corporate transactions. 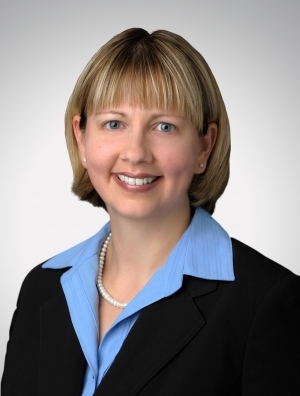 She has represented public and private companies, compensation committees of public corporations, private equity firms and chief executive officers and other senior executives in connection with employment agreements and other compensation arrangements. Darwin also advises clients on "best practices" related to the Affordable Care Act (ACA), COBRA, HIPAA and the Gramm-Leach-Bliley Act. Darwin keeps up to date on current events related to her areas of practice, including changes to the ACA, and ensures her clients are informed of the latest industry news.